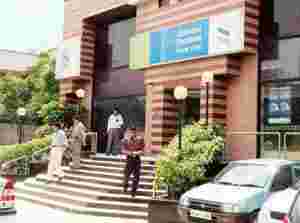 New Delhi: The private banking unit of Standard Chartered Bank in India sees strong expansion in its managed assets despite a local stock market crash and is growing its branch network, its head said. Shiv Khazanchi said private banks were benefiting from the “flight to safety and quality". He was optimistic of adding quality customers and maintaining double-digit growth in assets under management as the unit expands to three more Indian cities soon from its current five-city network. In the previous two years, their number grew at 20% and 19%, respectively. But plunging stocks, a weakening rupee and slowing growth have shaved wealth from a large number of bank accounts. Khazanchi said in an interview that India would stay among the league leaders when it came to minting millionaires. “As GDP (gross domestic product) growth is restored and as markets recover in the next one or two years, that traditional high pace of growth in the high net-worth segment we witnessed over the last two-three years, that will resume." Indian stocks have fallen in excess of 55% this year and real estate prices have crashed, leading to significant wealth erosion. The Forbes Asia rich list said India’s 40 richest people had lost about 60% of their combined fortune. “As far as assets are concerned, we will show significant growth, but that will partly depend on the markets also...but yes, substantially high double-digit growth," Khazanchi said. India has attracted the likes of Citigroup Inc., Morgan Stanley, Societe Generale, Credit Suisse Group and Barclays Bank Plc. to a relatively nascent wealth management market where home-grown State Bank of India and ICICI Bank Ltd also operate. The organized end of India’s wealth management industry, which manages about $250 billion (Rs12.48 trillion), is expected to quadruple its size to about $1 trillion in five years, according to research from Celent. But the major share of the market is controlled by brokerage houses, followed by insurance companies and asset management firms, with private banks, advisers, and family offices catering to the high and ultra high net-worth segments. Standard Chartered launched its private banking operations in New Delhi and Mumbai last year and later expanded to three more cities through its acquisition of American Express Bank.